Developing healthy contact lens hygiene habits from the start, or reviewing them annually when you visit your eye doctor to update your contact lens prescription, is a great way to reduce your chances of having a contact lens related eye problem. Wash your hands with soap and water before touching your contact lenses. Do not sleep in contact lenses unless prescribed by your doctor. Keep water away from your contact lenses. Contact lenses should be removed before showering, swimming or using a hot tub. Contact lens cases should be replaced every three months. You should rinse your contact lens case with contact lens solution, dry with a clean cloth, and store the case upside down with the caps off after each use. Always use fresh contact lens cleaning solution recommended by your eye doctor, do not mix old solution with new solution. 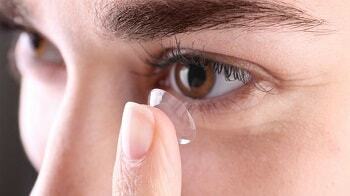 Eye care experts say daily disposable lenses are the safest soft contacts. Ask your doctor for advice on care. Wear your contacts each day only as long as your doctor recommends. If you think you’ll have trouble remembering when to change your lenses, ask your eye doctor for a chart to track your schedule. If he doesn’t have one, make one for yourself. Never wear someone else’s contacts, especially if they’ve already been worn. Using other people's contact lenses can spread infections or particles from their eyes to yours. Don’t sleep with your contacts in unless you have extended-wear lenses. When your eyelids are closed, your tears don’t bring as much oxygen to your eyes as when they’re open. Don't let the tip of solution bottles touch other surfaces, like your fingers, eyes, or contacts. Any of them can contaminate the solution. Wear sunglasses with total UV protection or a wide-brim hat when you’re in the sun. Contacts can make your eyes more light-sensitive. Use a rewetting solution or plain saline solution -- whatever your doctor recommends -- to keep your eyes moist. If you accidentally insert your contacts inside out, it won’t hurt your eye. But it won’t feel good, either. To avoid this, place the lens on the tip of your finger so it forms a cup. Look at the contact from the side. If the cup looks like it flares out at the top and has a lip, the lens is inside out. If it looks like the letter "U," it’s right side out. If your eye gets irritated, take your contacts out. Don’t use them again until you’ve spoken to someone at your doctor’s office about the problem. If you keep wearing them, your eye could get infected. When you do start to wear contacts again, follow your doctor's instructions to prevent an infection. Go to your eye doctor right away if you have any sudden vision loss, blurred vision that doesn’t get better, light flashes, eye pain, infection, swelling, unusual redness, or irritation. Don’t swim with your contacts in. 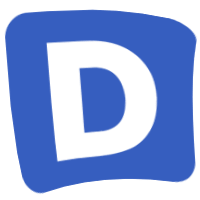 Goggles are better than nothing, but there’s still a chance you could get a serious infection if you wear contacts in a pool, or worse, in a lake. If your eye becomes red, irritated, painful, sensitive to light, watery, uncomfortable, or you develop blurred vision, you should remove the lens immediately and contact your eye doctor. Keratitis is an inflammation of the cornea that is a contact lens complication that can be brought about by not properly caring for contact lenses and/or overwearing contact lenses. Keratitis can lead to vision loss and tends to be painful. Keratitis can usually be prevented by proper care of contact lens wear. Always have a pair of glasses with you. If you have any questions about the way that you are currently caring for your lenses, please don’t hesitate to ask any of our eye doctors. Posted in Dry Eye, Fashion & Beauty, Safety and tagged Contact Lenses, Dry Eye Symptoms.